I had the great pleasure of speaking to the Southern Illinois University in Carbondale Tech Dawgs a while back. What a great bunch of college students! It was a great experience talking to college students about the importance of learning WordPress skills as a marketable career skill and what the WordPress community is all about. We talked about building plugins and themes and the estimate incomes of designers and developers. It was a very fun look into the world of WordPress. I am very humbled to be able to give back to my community what WordPress has given to me. Here are my slides from SIUC’s Tech Dawgs WordPress night. A strong password is the first line of defense for keeping people out of your information. If a person can not guess the password, then they can not get into your account. The more robots that are made to be key loggers and password guessers, the easier it is to guess a password and enter a site that the robot does not belong. 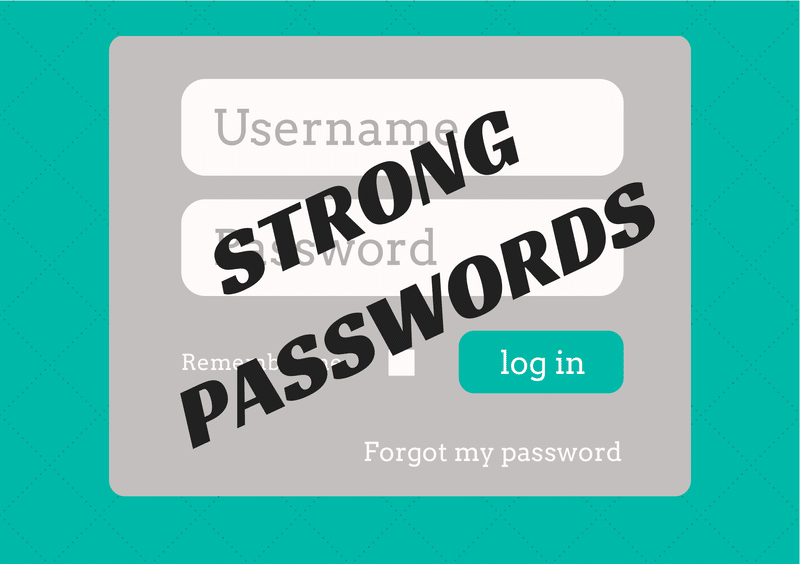 Strong passwords are at least eight characters with capital letters, lowercase letters, numbers, and special characters in them. A great one has a mix of all four characters and ten to twenty characters long. The less legible the better. Never ever never use “admin” or “user” for the username and “password” for the password. Never! Do not use pa55word or password123 either. Those are the first passwords to be cracked. Just do not even think of this as being an option. Ever. Capitalizing the first letter of a used word or name does not make it more secure either. JamesBrown is just as easy to crack as jamesbrown. Capital P is only important when spelling WordPress. It will not make your “Password” more secure. Again, the less legible the better. Do not use words. If it something that can be guessed easily, the hacker can guess it as well. Even the combining of words are easily guessable. Using “iloveyou” or “cheersfriends” is as easily hackable as using your name. Adding numbers or special characters that look like letters like making a password of “Jam$areJ3lly” will make it a bit less hackable but only a very little. Never use personal information as your password. Anyone’s name, birthdate, anniversary, dog’s name, address, etc. are never good ideas to use as passwords. If a friend or family member can guess it, the hackers can to. Use a different password for every login. If you have the same password for every account you log into, then if a hacker finds out your password to your email, then they can get into everything. This is important because if you use the same password and someone gets into your email, then they have access to everything. They can get into banking information, credit card login, and much more. Definitely keep a unique password for each and every financial institution and email accounts. Use a password keeper to store your passwords. Personally suggest LastPass, KeePass, or 1Password for Mac. You only need to remember the one to login for the application and they take care of remembering the rest. All have their own pros and cons. Try all three and see which one you like the best. With using a password keeper, you do not have to remember those passwords that are not words. Use a password generator to make up your passwords. Most of the password keepers have them built into them. You can specify length and what type of characters you want within the password. Once you chose the one you like, you can save them to the password keeper as well. One thing that is popular right now is “password therapy”. Password therapy is where you make a password that is more like a mantra that you repeat. For example, you want to quit smoking. You make your password for all of your logins “smoke free”. For security reasons, this is a bad idea! keep separate logins for everything. Do not email passwords. LastPass gives you an option to email a link to your password. Unless you have encryption set up, the email can be compromised. Do not share your passwords with anyone who does not have a direct need for them. Login information should always be a need to know thing. If you can set up the other person with a separate user credentials it is always better than giving them yours. Always take the minimalist approach and only give out what they need and as much access as they need. These steps will help to keep your information more secure. Just remember, nothing is ever 100% secure but it always better to do something than to do nothing. Keep your information up to date and do not share it with anyone. There will always be new vulnerabilities coming out. Just remember the basic rules of passwords and that will help aid you to keep the bad guys out. Information security means a lot to me on many different levels. Unfortunately, nothing is completely hack-proof. First and foremost, I like any other internet user do not want any of my private information to get in the hands of anyone it is not supposed to. I do all the normalcy of running an antivirus on my PC’s and my Mac, I have up a decent firewall, and watch what sites I visit. Also for personal internet security, I do not use any duplicate passwords. The best thing to do is use a password keeper apps like KeePass, LastPass or OnePassword. With what I do in my professional life, privacy and security are big business. Internet security, more importantly WordPress site security is a very passionate subject for me. When there is a WordPress site that has been hacked, I come in and clean the site up. 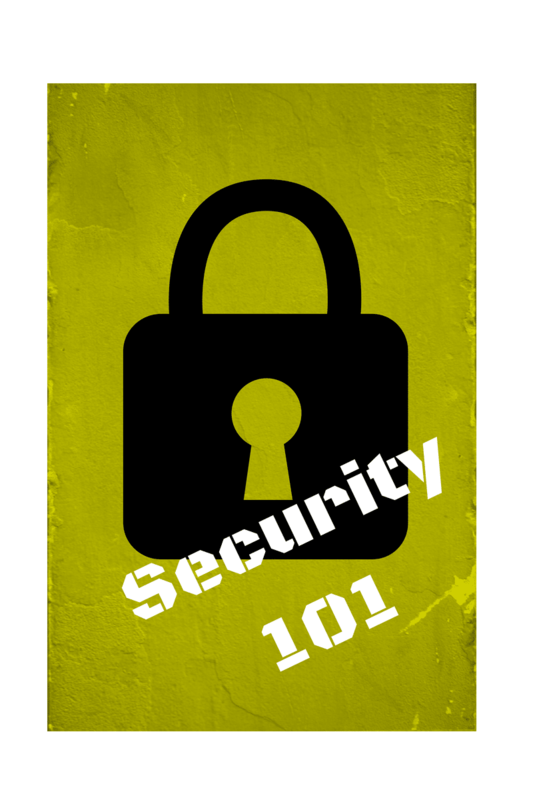 It is cheaper to take the necessary steps to keep your site secure than to have someone come in and clean it. Weather using WordPress to aid in the design of your website or building it straight from code, the developer must add security to their site or information can get out and the uglies can get in. Now adding too many security plugins can be an issue as well. Too many plugins will not play well with each other and then you will be locked out of your site. Privacy and security need to be important and on the top of the list because no one wants to deal with the aftermath. In personal issues it involves changing all your financial information, login information, and anything else you put on the web. Professionally, it can be the biggest headache one has ever had. It can take hours and dollars to fix a broken site. One of the best things to do is have a backup. Backup your files, your information, your computer. Backup everything. I have my photos and music in 3 separate locations so I never have to worry about losing any of them. Here is where a cloud based service like Bitcasa or Dropbox work for you. Also, keep your information hidden. Use a service to keep your passwords. Writing them in a file is much more easier to retrieve. When using a public network be more aware of what sites you are visiting and what information you are putting out. Update your services, passwords, plugins, and everything else on a regular basis. It is good to change you password every 3 months. What do you do if your desktop or laptop gets hacked? This happens all the time. Viruses and worms find their way into your desktop or laptop. First and foremost, always keep some sort of antivirus up to date on your unit. If your box does get something on it, typical virus removal is not the cheapest service in the world, but it is easily done. Find a company you can trust, and get the viruses off your PC. What do you do if your site gets hacked? Finally if you are hacked, it is not the end of the world. While it does take time and sometimes money to get back to normal, you will get there. If ever in that situation, take a deep breath and tackle it. If you have a website that you feel has been hacked, come see me over at WP Security Lock and we can get you taken care of. Everyone wants to be number one in their own Google search. It is what every business strives for. Do you know how to get there? It is not a road that you can travel and reach your destination in minutes, hours, or even days. Great digital marketing starts with a lot of hard work and a lot of time. It can be done, and it can be done easily if you have the right tools for the job. Content is the Queen Bee! The best way to make sure you are known and to keep your name out there is content. If you have a website but nothing substantial on it, it would be like eating a ham sandwich that does not have any ham. Your website will be as boring as your sandwich. Visitors will not stay for bread only. They need the meat. You should update often with quality content. There is no one size fits all schedule to how much and how often you should post. Just make sure your customers and your future customers do not forget about you.Also, a good content manager will make sure the content is relevant to the business and to their customer. Make sure the content is something the reader wants to see, not just what you want to see. -Use a content manager like HootSuite to make your postings easier. Hootsuite can take the same post and put it over many social networking platforms to get you message out quickly and in sync with each other. You can also schedule when you want certain things to post at certain times. -If you have a self hosted WordPress site, use the JetPack plugin to announce your new posts over many social networks. With Publicize, when you click publish, it will send a post to your linked social media accounts. -Take advantage of hashtags and mentions. If your content is relevant to a subject or a person, make it known. It is proven that tweets with hashtags and/or mentions get re-tweeted more often than one without. -Remember to comment back. Readers want to stay engaged so reach out to them. If they ask a question, get back to them quickly and with correct information. You have to create the buzz to keep the buzz going. Use Twitter, Facebook, Google+, Feedly, Pinterest, YouTube, WordPress, and all the other wonderful social media platforms to your advantage. Social media marketing is free to use to help your business grow into the best beehive on the block.